In the past few years the HD7 Red Dot sight from LUCID OPTICS has been battle proven and tested in the very capable hands of Law Enforcement and Military professionals. While we believe in the old adage, “If it’s not broke, don’t fix it,” it was time to make a set of customer requested improvements to the HD7 and introduce the Generation III unit. These improvements include capped turrets, a new reticle set with more capabilities for the operator built in and the availability of a Flash Filter accessory. We also have upgraded the buttons to be more durable and the light sensor is nearly twice as sensitive as previous versions. As with the original version of the HD7, you don’t have to compromise with the GEN III HD7. 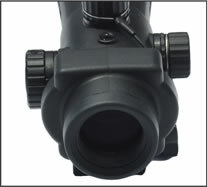 At LUCID OPTICS we recognize that no two shooting situations are ever the same. We feel your optic should be able to provide functional feature benefits to assist in most situations. The HD7 has been designed from the ground up to be a strong, reliable optic that offers the most in operator selectable features and benefits that exceed the market standards at a price that is friendly to the wallet. 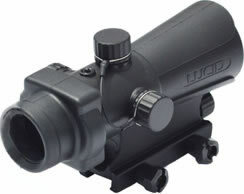 The HD7 is a solid alternative to other much higher priced optics on the market today. Give the HD7 an honest look and we think you will agree.